A little over four years ago I began work on my first feature film April Showers. Some of you who have followed my writing and work over the years may have seen the film, since Home Theater Review did run a few stories pertaining to the film during production. What you may not have known was that a portion of April Showers was created using consumer grade tools and electronics during the post production process. It's true. At one point in the sound mixing process I had become so frustrated with my sound designer's chosen speakers that I ran home and grabbed my then 5.1 Bowers & Wilkins CT system and connected it up in his studio in order to finish the mix. What was so horrible that I had to result to such drastic measures? His pro speakers, while widely used by many a professional, were simply not translating well to the theatrical experience. The mix would either be too 'hot' or too muffled depending on how we attempted to compensate. By throwing the Bowers & Wilkins into the mix we alleviated those headaches for the studio to theatrical sound experience was now closer to being one in the same. Those of you who may have caught April Showers in the theater were listening to a mix that was finished and finalized on a high-end, consumer setup. It's a moment I'll never forget for it planted a seed inside my brain that I've been unable to shake to this day. • Read more original stories like this in our Feature News Stories section. • See more movie news from HomeTheaterReview.com. • Learn about the use of 4K in the production of April Showers. Truth is, today's modern audio video components have become exceptionally good. While theatrical exhibition may still be the reigning king in terms of audio video technology, what with Dolby Atmos and 4K, the fact remains that consumer goods are not far behind. Honestly, the two venues are pretty much equal at this point. What this means is that no longer are filmmakers like myself relegated to professional use only tools; tools such as cameras, editing suites and/or audio studios. It's possible now to shoot entire films on consumer grade cameras, edit them on personal computers, even laptops and do a mix via a single pair of headphones. No longer do the tools account for half of the audiences' experience, now the depth of the experience rests entirely on the filmmakers' shoulders. But what does all that have to do with home theater components and/or this publication? With my next film, Love In Training, I'm attempting to take the lesson gleamed from that moment on April Showers and apply them to an entire film. Love In Training is going to be a theatrical film, but captured and created entirely using products you yourself can buy and/or get your hands on. Why am I doing this? Because it intrigues me. Because I believe it's possible for film to have a greater appeal and purpose than mere entertainment, which is why I'm also going to be documenting every phase and step of this production and sharing it with all of you. There will be no studio involved, nor executives to answer too. This will keep the project 'pure' and completely independent from start to finish. However it also means that a lot of the costs have now been deferred to me. In the spirit of full disclosure, I'm offsetting certain costs by signing sponsors, many in the AV or home theater space who's products I know intimately and have come to trust. I'm also offsetting costs by holding a public funding campaign on my personal website where you can become directly involved in the process by making a modest financial contribution to the making of the film. 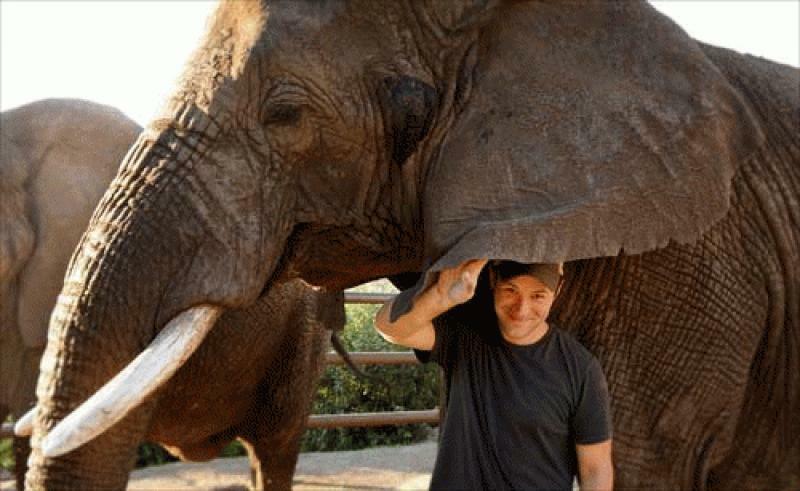 There are rewards at every contribution level, including credit in the film itself as well as perhaps a once in a lifetime experience of being able to get up close and personal with many of the animal cast members; animals who will also directly benefit from your contribution as every contribution includes a donation to wildlife conservation. The idea behind this strategy is to provide you with not only a complete and honest movie going experience but to also give context to a lot of what is discussed in this publication as well as others. As members of the press we're often guilty of creating excitement for "the new" without going into too much detail about the why and how. Often a review is nothing more than one's subjective opinion, one that may be valid and backed by years of experience, but one that lacks ultimate context for you the reader. I endeavor to change that, for the context will become the film itself and the story then the making of. Hopefully, when all is said in done, those with an interest in this sort of thing will understand my intent and be able to experience it first hand in order to gauge for yourself how you feel your system and experience stacks up compared to a reference standard. I plan on taking it further than that by providing you with video and written explanations detailing many of today's biggest technological questions and hurdles and hopefully demystifying a few in the process. Lastly, because this project is truly independent, I hope to release the film to you in a way that is meaningful; a way that will allow you to take full advantage of your system's potential, maybe even beyond what commercial Blu-rays can offer you. Maybe even beyond consumer 4K. Most of all I want the experience to be fun for everyone. I want it to be a learning tool as well as entertainment. It's not going to be easy, but with your help, and the help of some of my sponsors I believe it's doable. I'm excited for I've been itching for the opportunity to merge my two key interests, filmmaking and home theater, in an enriching and wholly unique way. I hope you'll support me and my creative team and tune in on my website as things proceed. To follow Andrew Robinson's cinematic adventures or to contribute to Love In Training, please visit his website at www.andrew-robinson-online.com.